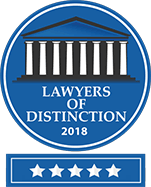 As personal injury attorneys in Los Angeles, Halpern & Associates has earned the respect of Angelinos and recovered millions of dollars for their clients. If you, a family member, co-worker, or friend has been involved in an injury-causing accident, call us today. 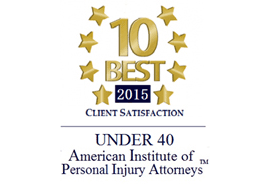 As personal injury attorneys in Los Angeles, our passion is in helping the injured recover. We do this through case expertise, excellent legal advice, sound principles, and implementation of a Superior Client Experience (SCE). The Superior Client Experience is our version of a hotel concierge service for our clients. As a client, you will be assigned to one of our SCE representatives that will guide you through the entire process from beginning to end. Our reps are trained to answer any questions you may have regarding your personal injury claim. Beyond that, however, we also empathize with your current situation and build a family-like relationship with you through trust and results. You will have direct access to the attorney and be able to speak with him directly as needed. You will be able to meet personally with your rep or the attorney within a reasonable amount of time of your request. We will constantly update you with what is going on with your accident or injury case. We will personally speak with your doctors and keep records of your medical treatment and all your visits. We will send you updates via phone, email, or mail. We will go above and beyond the typical attorney/client relationship. There is much more involved and we don’t want to reveal all our secrets! Overall, we take care of every detail associated with helping you recover. We take great pride in helping victims of accidents, as an accident can have devastating consequences to one’s life. Through years of experience with thousands of clients, we can appreciate each and every inconvenience accidents cause. We provide a step by step explanation to our clients, really giving them hope for recovery and peace of mind throughout the process. Our SCE program ensures that all their questions are answered and that they are treated like a family member. Most of our new clients are referred to us by former ones. If you read what our clients have to say, you will see one underlying common theme: we are honest with them from start to finish. 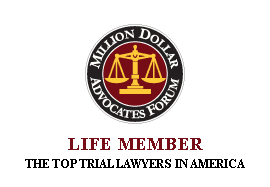 Further, we only handle personal injury cases; we take great pride in providing the best expert advice in this field. We always keep our clients informed and give them expectations based on reality. Every one of our clients has spoken directly to an attorney and maintained communication with an attorney throughout their case. We work hard to build this trust in each and every client relationship. He is such a good attorney. My wife was very sad because her prior attorney told her he could not continue with her case, and just like that she didn’t have a case anymore. We were left out in the cold and she was still very injured; we were losing hope and didn’t know where to turn. It occurred to me to look in a magazine where many attorneys advertise. I called several attorneys and explained our situation. Not one said they could win this case and that it was too difficult. Finally, I called Jason and talked to him about our case, for a very long time; he answered me on his cell phone by the way. He told me that in his opinion we did have a case and that we needed to file a lawsuit immediately, and to trust him. Thank god and thank him; my wife has since received much more than we ever anticipated. He is such a good attorney. He is not a just good attorney, but a good person. He is our attorney and friend for life. I had Halpern & Associates help me out with my car accident. Everything went great; the experience was awesome, the people here are awesome, and I just want to say thank you very much. I’m very satisfied with Jason Halpern’s work on my case. They are responsible and tell you what is going on with your case. I was happy with the initial contact at my home and from that day forward they did not stop calling me. That’s the best thing that can happen when you have this type of accident, constant information and contact. I really recommend Jason Halpern. I had a prior accident before this one and had a bad experience with another attorney. They lied to me and would never respond to my calls. I’ll say it again he is the best, Jason Halpern is not paying me to say this. It’s Saturday, and he’s right here in front of me telling me about my case if I need him.